Submitted by Quest-News-Serv... on Wed, 06/01/2016 - 21:36. My guess is none of you experienced a long time hunger. But probably most of you are familiar with the feeling of skipping 2 or 3 meals. Not a very pleasant one. During that time did you experience fatigue or dizziness? These are the first general symptoms of malnutrition. An average man cannot survive without food for more than 8 weeks. A famine may last for years like the Tempo Famine in Japan (4 years). Not many of us have such large stockpiles. And it’s not even enough to stockpile food in order to properly prepare since you may develop malnutrition if you lack a single vitamin in your diet. Bark Bread – is a bread made by adding inner bark (carries organic nutrients) to the flour as an extender to make it last longer, bake more breads and still keep them nutritious. In fact bark meal contains more zinc, magnesium and iron then is found in rye and wheat and it is full of fiber. It was widely used during Norway famine, the Finland Famine and it was commonly eaten by our ancestors. The bark component was usually made from trees like elm, ash, aspen, rowan, birch, pine and moss. The inner bark is the only part of a tree trunk that is actually edible, the remaining bark and wood is made up of cellulose which no man can digest. The dried and ground inner bark was added: about 1/3rd “bark flour” to the remaining grain flour. The bark, however, adds a rather bitter taste to the bread, and gives particularly white bread a grey-green hue. Though bark today is sometimes added to pastry as a culinary curiosity, bark bread is considered an emergency food, and as is common with such food, phased out as soon as the availability of grain improves and people forget about it. During famines in Russia, nettle and orache were used to make breads or soups (But you can also make polenta, pesto and purée). Chamiso and Shadscale (two species of orache) were also commonly eaten by Native Americans. Both rich in Vitamin E (much needed in a food crisis). Nettle has a flavor similar to spinach (prepared in exactly the same way) when cooked and is rich in vitamins A, C, iron, potassium, manganese, and calcium. Soaking stinging nettles in water or cooking will remove the stinging chemicals from the plant. Some breads were made out of orache and bran at the Siege of Leningrad, using machine oil – the only oil still available. (see picture) The city authorities provided the population with foodstuffs salvaged from industry. They made hard cakes of pressed seed hulls left over from processing of oil from sunflower, cotton, hemp or linseed. These seed cakes sustained many lives in Leningrad. Rutabagas were widely used as a food of last resort in Europe during the famine of World War I and World War II. The roots are prepared for human food in a variety of ways, and theleaves can be eaten as a leaf vegetable. Especially the French and the Germans boiled rutabaga making a stew. It is also called “The Potato Famine” since it was caused by a devastating potato disease (blight). Corn meal sold for a few times more pennies a pound, so the men were unable to earn enough money to adequately feed themselves let alone their families as food prices continued to climb. As a result, children sometimes went unfed so that parents could stay healthy enough to keep working for the desperately needed cash. Many of the workers, poorly clothed, malnourished and weakened by fever, fainted or even dropped dead on the spot. As the Famine worsened, and looters became commonplace and the British continually sent in more troops instead of food. Finally, Government-sponsored soup kitchens were established throughout the countryside and began dispensing a nutritious food called Stirabout. ‘Stirabout,’ si a substantial porridge made from two-thirds Indian corn meal and one-third rice, cooked with water. By the summer, three million Irish were being kept alive on a pound of stirabout and a four-ounce slice of bread each day. Seed potatoes, many having been eaten, had been in short supply. Planters had either been involved in the public works projects or had been too ill to dig the next year. Others were simply discouraged, knowing that whatever they grew would be seized by landowners, agents or middlemen as back payment for rent. In a food crisis you can buy EVERYTHING with food. 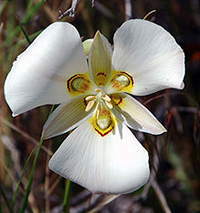 Sego lily bulbs were eaten by the Mormon pioneers when their food crops failed. The flower is endemic to the Western United States and it is actually the state flower of Utah. 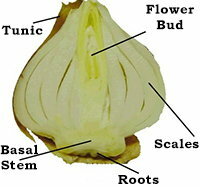 The bulbs of the flower were roasted, boiled or made into porridge. The plant was also eaten by Native Americans. During the WWII the northern provinces became isolated from the liberated parts of Europe. Food stocks ran out, as did fuel stocks. Then a harsh winter began. Due to the war situation, tulip growers have not planted tulip bulbs that year; great amounts of tulip bulbs were stocked on farms throughout the country. During the famine authorities decided to use these stocks as food for the starving populations. The tulip bulbs were nutritious and relatively easy to cook. They also boiled and ate Sugar beets. These are high in fiber, manganese, and is a decent source of vitamin C, potassium and magnesium. The greens, though, are really the nutritional powerhouse of the plant. They are super high in fiber, vitamin A, vitamin C, vitamin K, riboflavin, calcium, iron, magnesium, copper, manganese. Grass pea is a particularly important crop in areas that are prone to drought and famine, and is thought of as an ‘insurance crop’ as it produces reliable yields when all other crops fail. Well that’s something people eat when there’s nothing else to eat, because eating grass pea may cause a disease that basically paralyzes the lower limbs. The disease occurs only when the seeds are consumed as a primary protein source for a prolonged period but safe to eat for days maybe weeks. When a famine occurs, that’s hell of a lot of people who end up eating this grass pea. The ratio is fairly small with about 10 out of 1000 people who get the disease. Flour was made out of grass peas (named almorta) and they mixed it with wheat flour to eliminate the toxicity. For those faint-hearted: don’t read the next paragraph. You’ll find 3 real recollections of survivors from one of the most horrific famines. I wanted to include this in the article so people would better understand why and what do we prep for. And why having a food stockpile is an insurance you’ll not end up in this situation. “…I have no idea how I managed to survive and stay alive. In 1933 we tried to survive the best we could. We collected grass, goose-foot, burdocks, rotten potatoes and made pancakes, soups from putrid beans or nettles. Preparing for a food crisis or famine means preparing for at least one year. But famines can last up to 7 years and it can be wiser to have the means to produce your own food rather than stockpiling. One of the best ways to do that is by building a system totally independent from the environment. And this CAN be done.